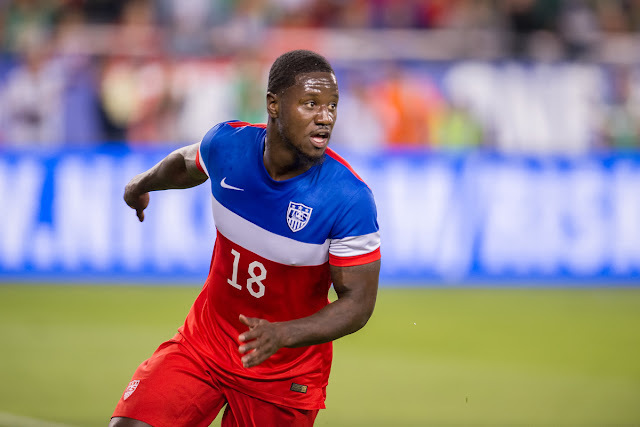 Piggy-backing on Iain's piece earlier this morning, I take up the five US based footballers I always loved to hate on. But jokes aside of course, I'd like to wish all of my American friends and family a very happy 4th of July. I have to be honest here and say that I expected Sacha to fail miserably after leaving MLS based side Chivas USA to practice his trade in Europe. But the pedo-moustache wearing midfielder proved me and more than a few other football fans wrong by putting together five solid years with Belgian side Anderlecht. Sure he's a decent player, but that facial hair is so bad that even Zlatan Ibrahimovic commented about its terrible look when the two met one another in a Champions League match in 2013; the Swede called it "ugly" and I don't think anyone could argue with his opinion, at least that time. I'm not sure if it's because he was the first player to score against my local club Toronto FC in their inaugural season at BMO field, or perhaps because he was just so damn good in the MLS before crashing and burning for 3 years in Europe and then running back to Major League Soccer; whatever the case, I never liked Eddie Johnson. That said, I signed him once in manager mode while playing FIFA...I was in charge of Galway United F.C. in Ireland and Johnson finished 2nd in scoring in the league. Oh boy, where do I start with this one? 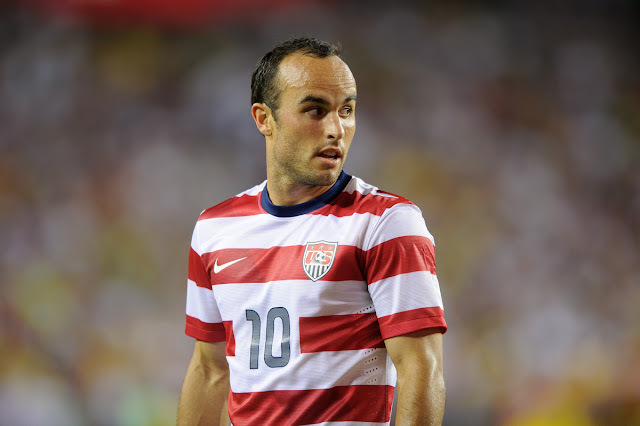 I've always loved to hate on "Landy Cakes" despite his superiority both in Major League Soccer and the US national team. I'm not oblivious, he is an American soccer legend and a very good player in his time, but something about him always seemed odd to me and I'm not just talking about his height. The major reason for my "hate" must be the fact that he played almost his entire career with the LA Galaxy, and who outside of Hollywood really likes those guys, right? And what was up with those short loan stints? Are you going to play in Europe...are you not going to play in Europe? 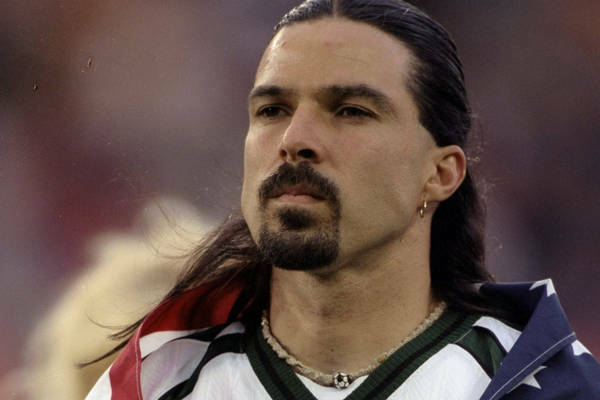 For the longest time I couldn't figure out whether he was the best American footballer ever, or the most over-hyped US international in the history of the sport. 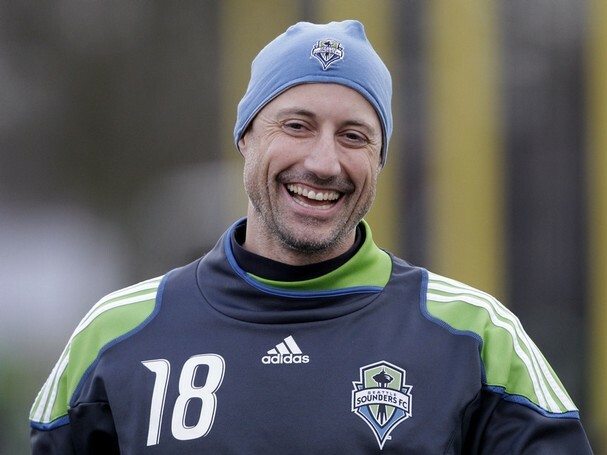 One of, if not "the" most successful American goalkeepers, Kasey Keller was always one of my favorites as far as US based shot-stoppers were concerned. It was his subtle "smart guy" look that threw me off; one that made me always wonder if he was plotting something much larger and irrelevant to football. He often seemed like he was too wise to be a goalkeeper. Also, he lived in a 1000 year old castle while in Europe and that kind of lifestyle my friends is reserved only for the likes of the Queen and of course Sting. 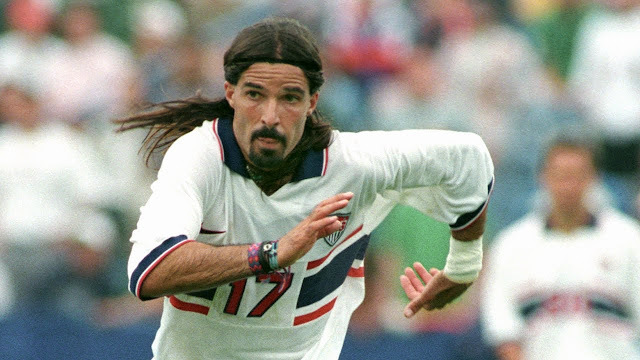 If you ever wanted to paint a mural titled "Soccer 'Murica" Marcelo Balboa would have to be in the very center of it. I could see him in an army uniform, or even shiny pink tights and face paint at Monday Night Raw, but the man never looked like a footballer. I can just imagine the expression on the Mexican faces when he joined club León in 1994; they must have thought it was the invasion of 1846 all over again.